1) Place all ingredients in a cocktail shaker filled with cubed ice. 2) Shake hard, and strain over ice into a tall glass. 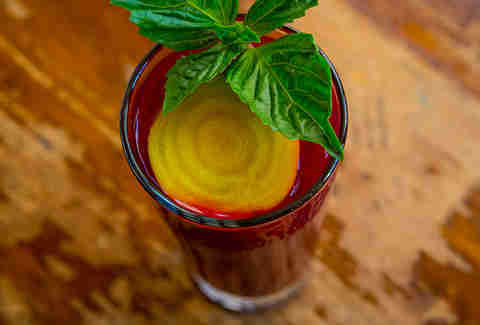 3) Garnish with a basil sprig and a disc cut from a golden beet. MAKE A CLEAR STATEMENT. DRINK RESPONSIBLY. 1) Rim a chilled coupe glass with cayenne pepper and salt mix. 2) Place all ingredients in a cocktail shaker, and shake hard. 3) Pour into the chilled coupe glass. 1) Crush pineapple and chili slices in the base of a shaker with a muddler. 2) Add cubed ice and remaining ingredients, shake hard, and strain over ice in an old fashioned glass. 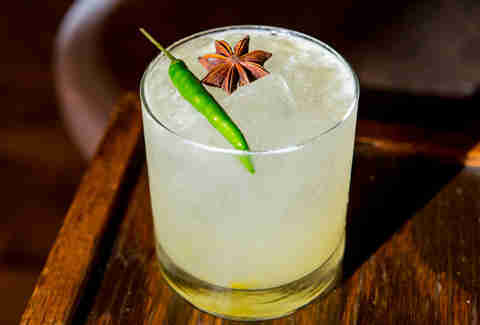 3) Garnish with a chili and a star anise pod. 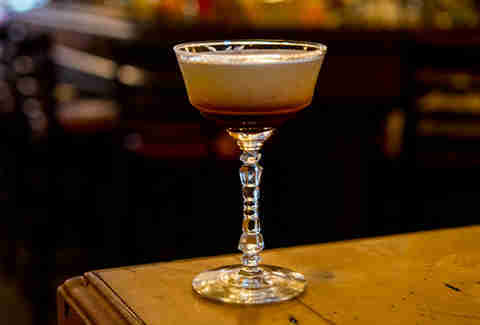 1) Add all ingredients to an empty cocktail shaker, and shake to combine ingredients and emulsify egg white. 2) Add cubed ice to shaker, and shake hard. 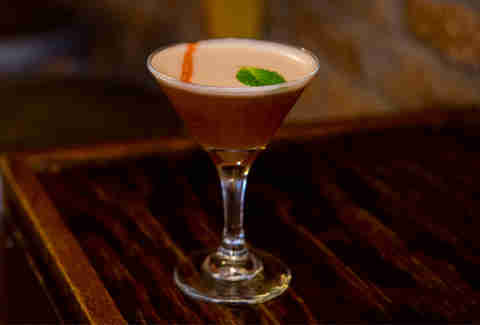 3) Strain into a chilled cocktail glass, and garnish with a dash of angostura and a mint leaf. 1) Place basil and cucumber into the base of a tall glass, and muddle to extract flavors. 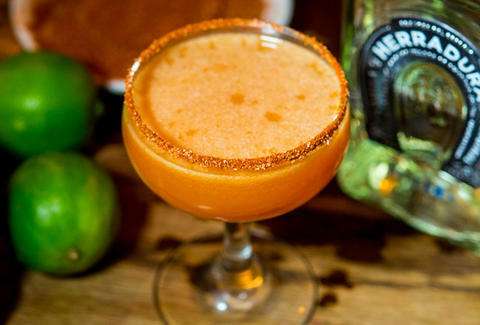 2) Fill ¾ of the glass with crushed ice, add remaining ingredients, and combine using a bar spoon. 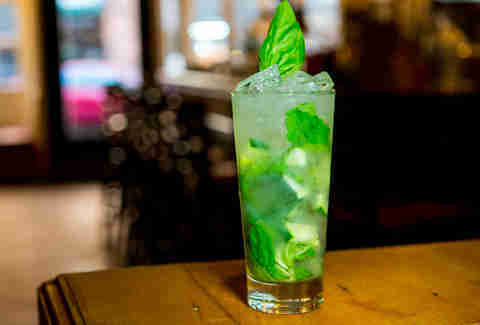 3) Cap with more crushed ice and garnish with a basil leaf. 1) Place all ingredients except the soda into a highball glass. 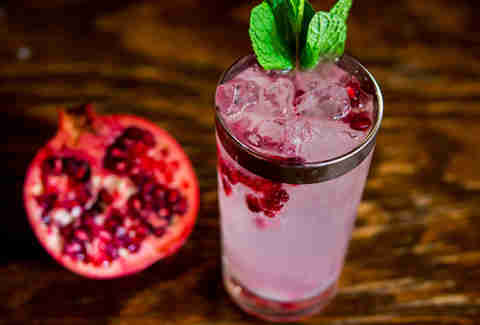 3) Garnish with a mint sprig and pomegranate seeds. 1) Place all ingredients into a cocktail shaker filled with cubed ice. 2) Shake hard, and strain over ice into a chilled coupe glass. 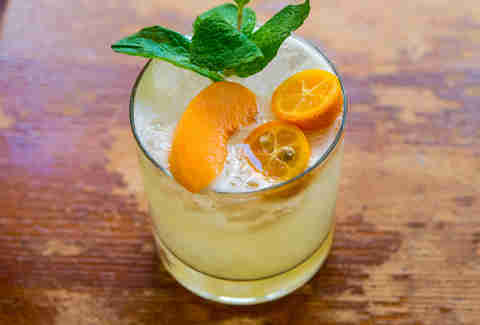 1) Place all ingredients in a cocktail shaker, shake hard, and pour into an ice-filled old fashioned glass. 1) Crush strawberries with a muddler in the base of a shaker, add ice and remaining ingredients, and shake hard. 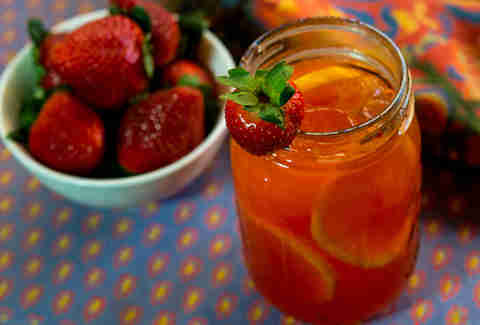 2) Strain through a fine sieve into a mason jar, and garnish with lemon discs and a strawberry.